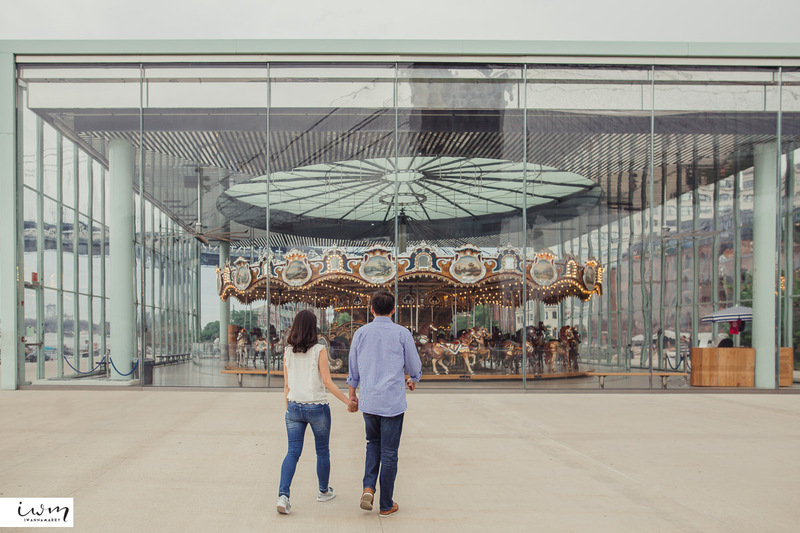 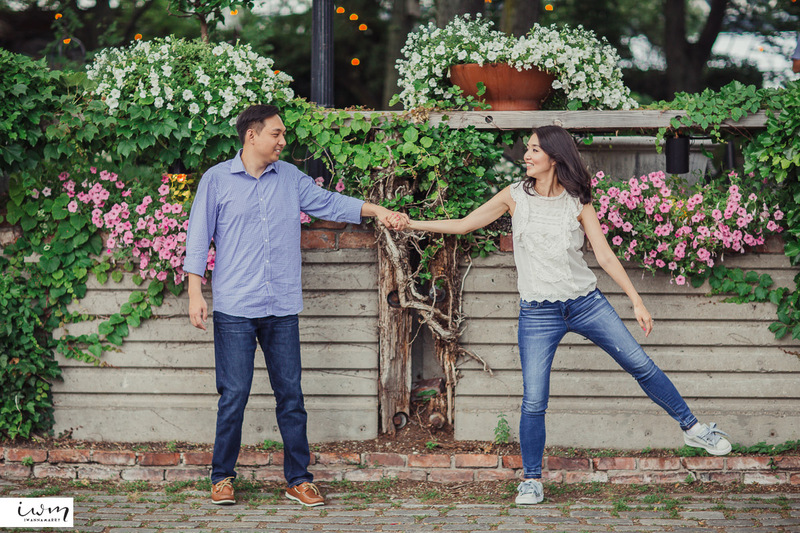 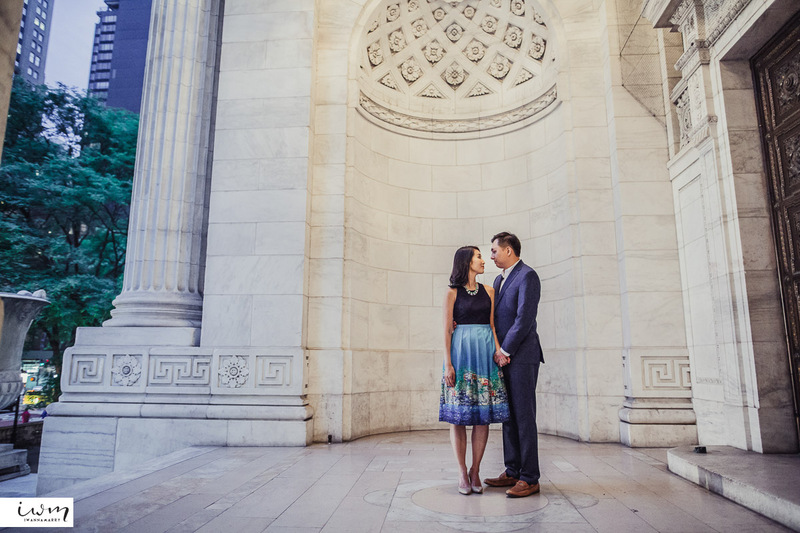 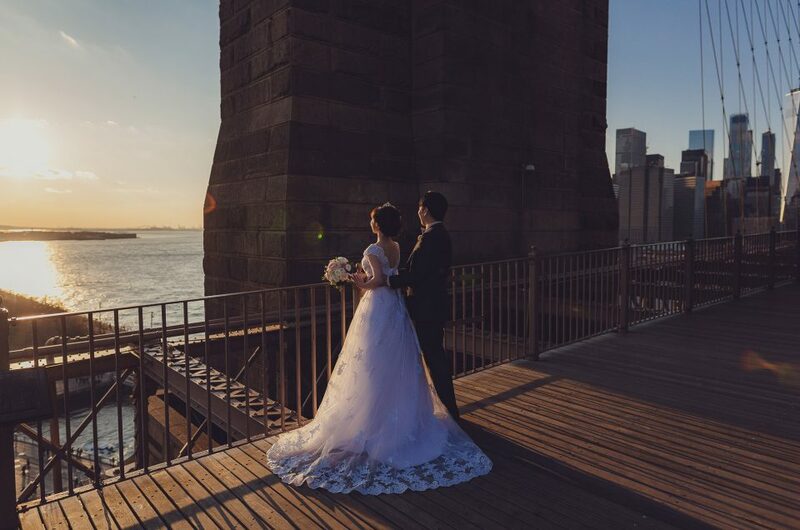 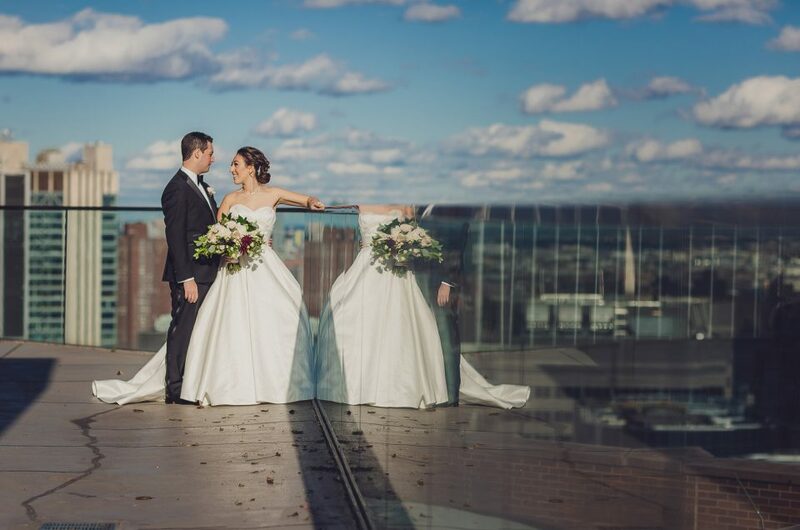 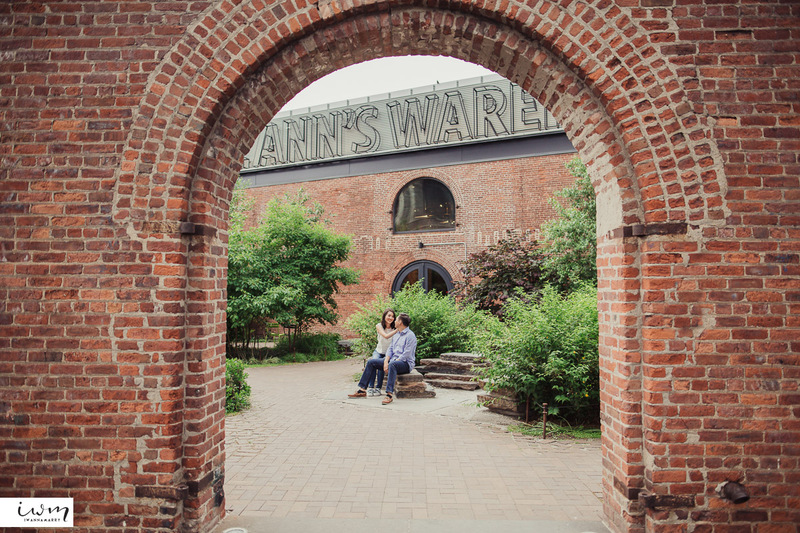 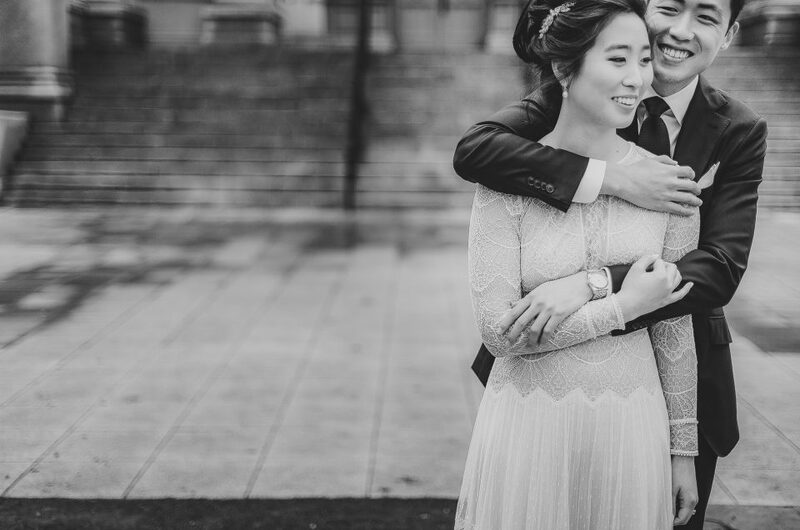 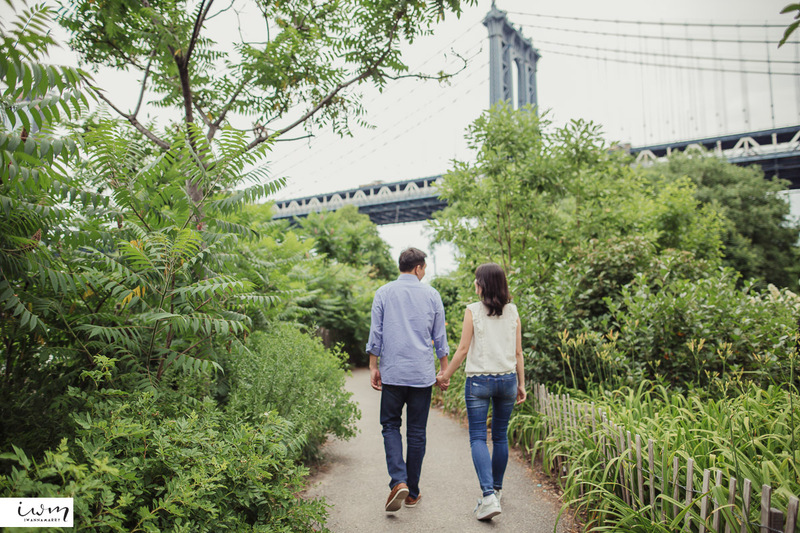 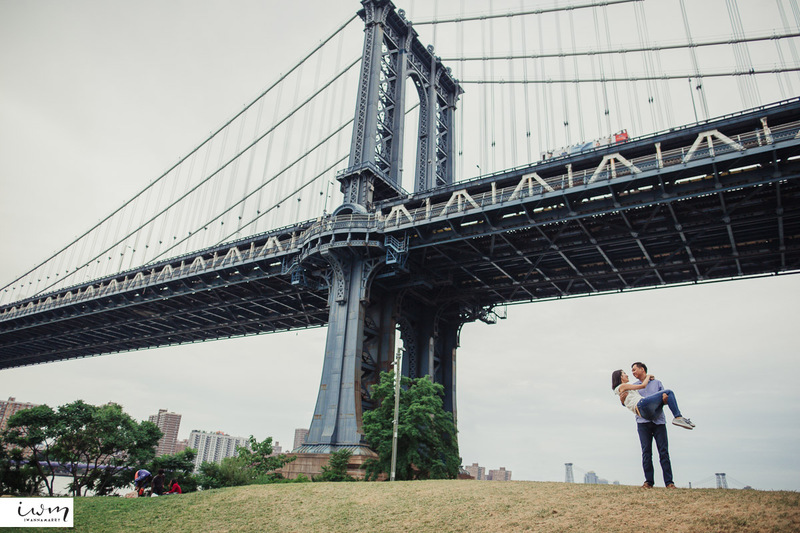 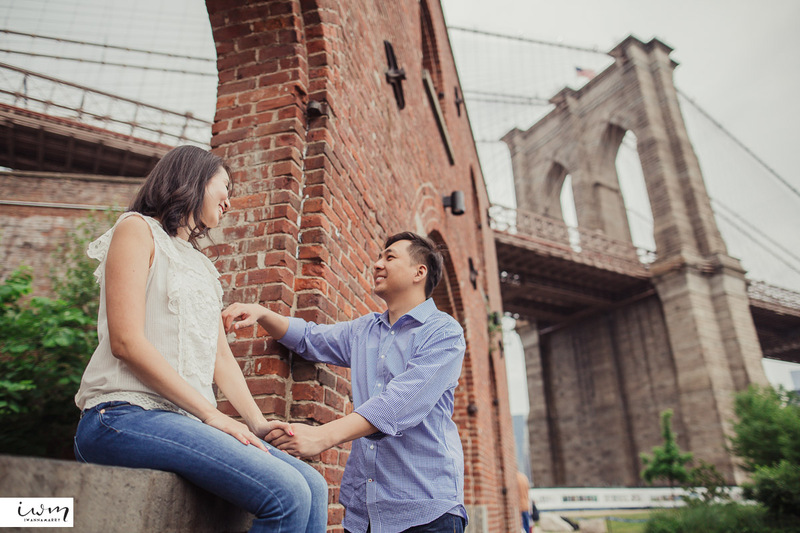 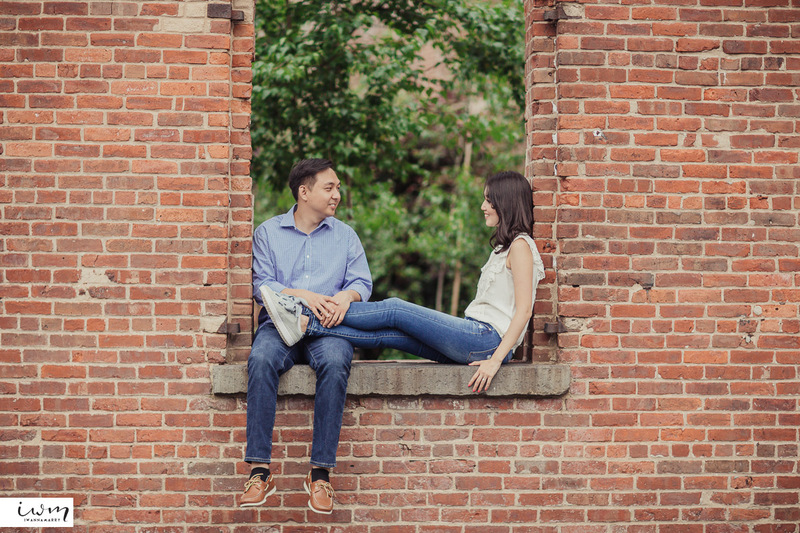 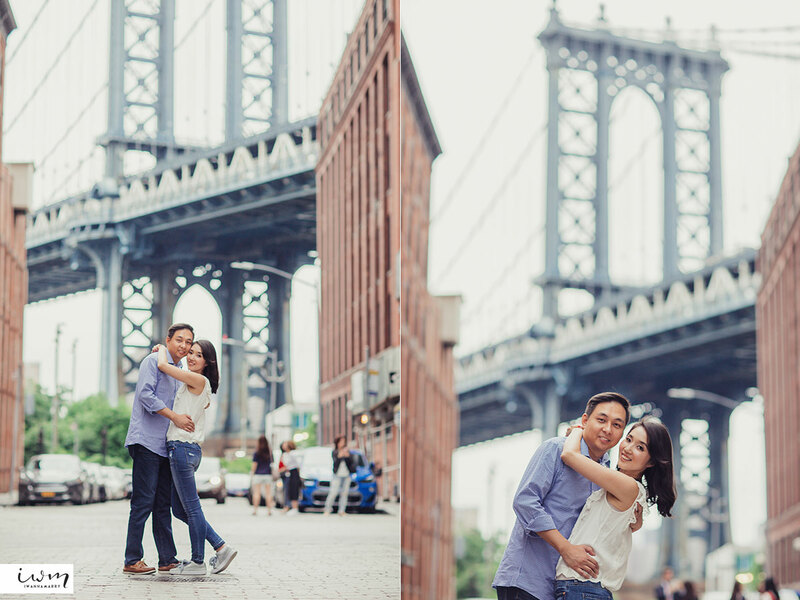 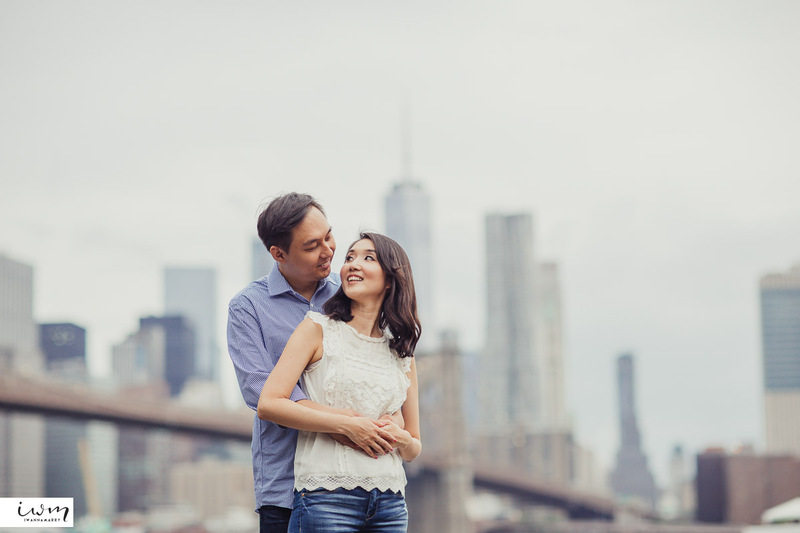 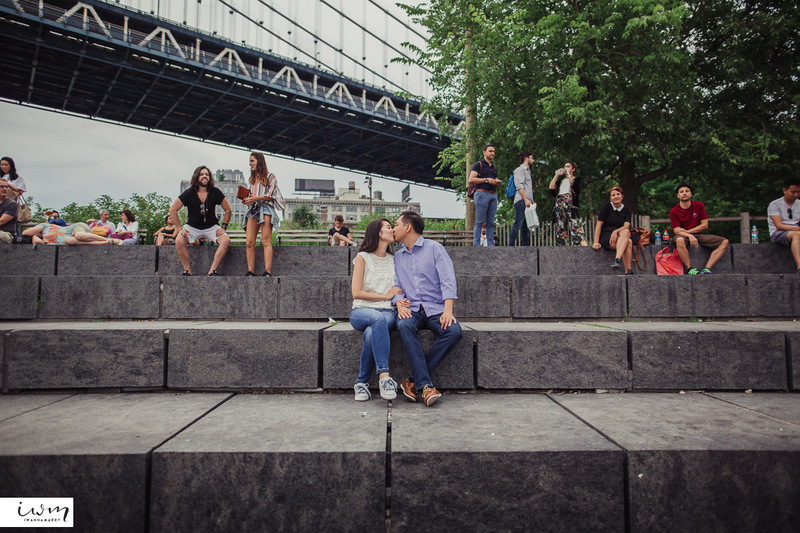 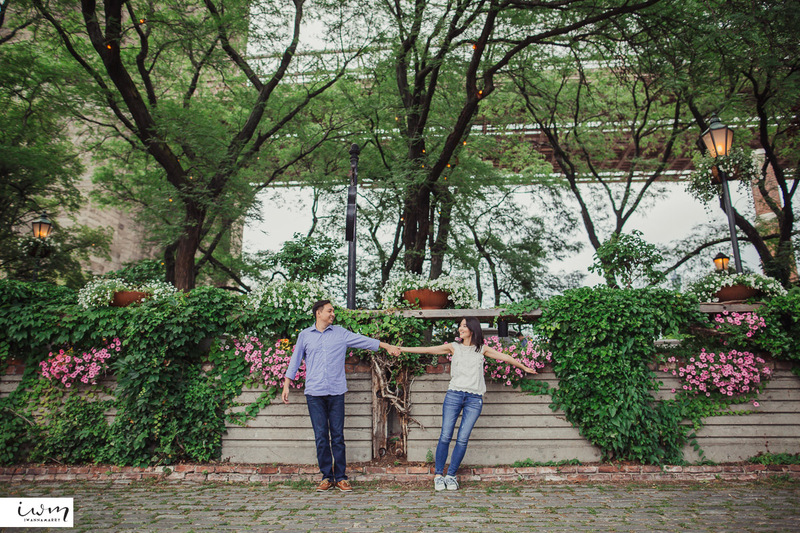 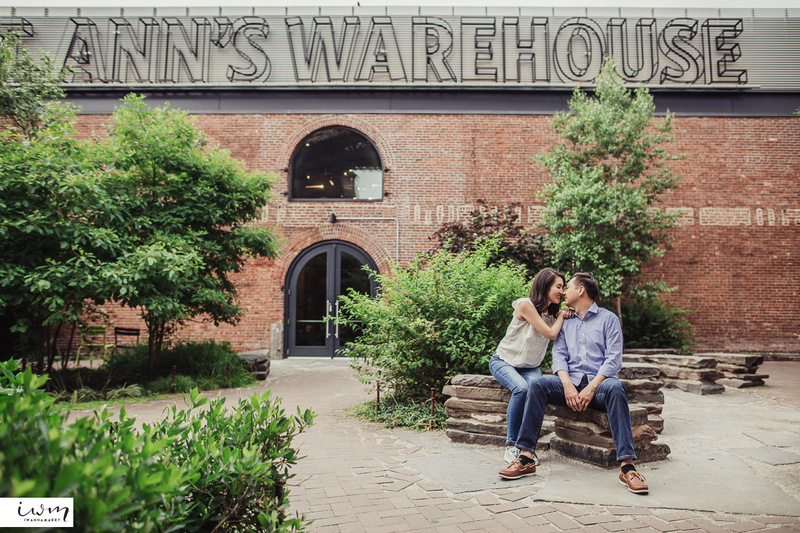 Jee and Ken traveled all the way from Singapore to have their engagement session done in New York City and Brooklyn. 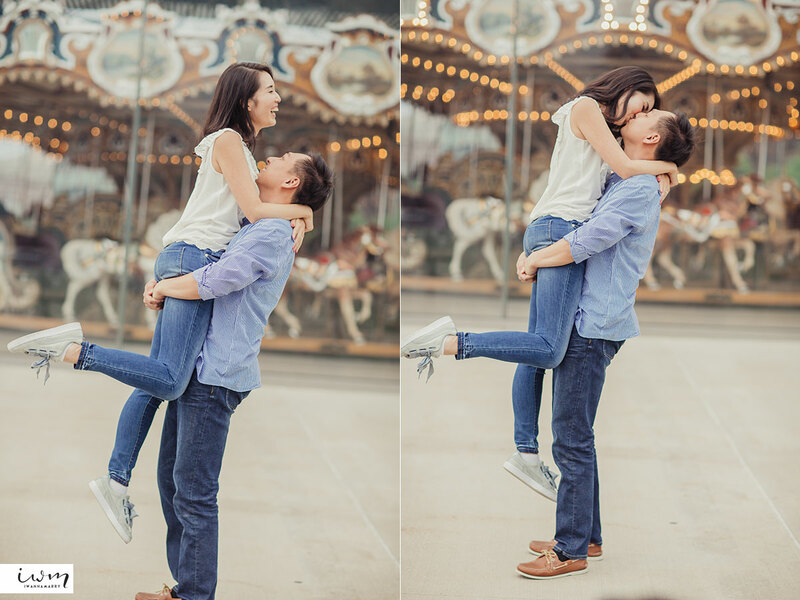 We had the pleasure of capturing their adorable affection for each other. 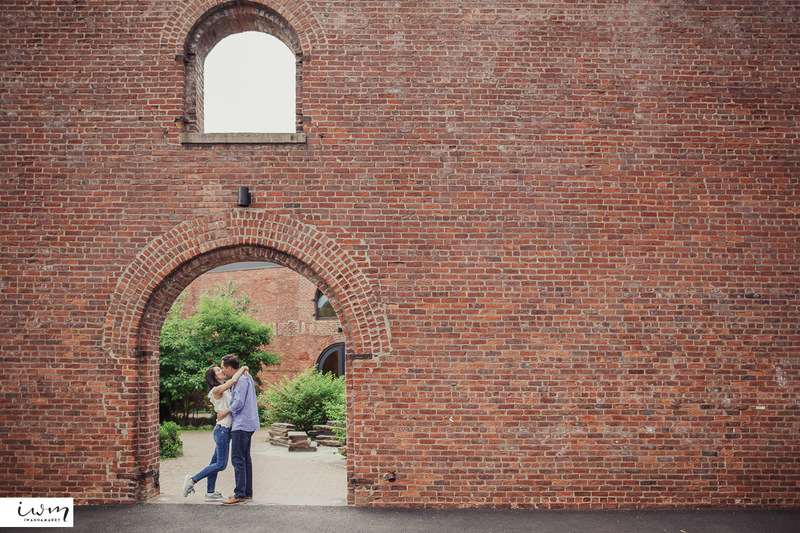 It was a busy evening filled with high school prom attendees getting their selfies on, but we were able to work around them and just have the two lovely couples alone in each location. 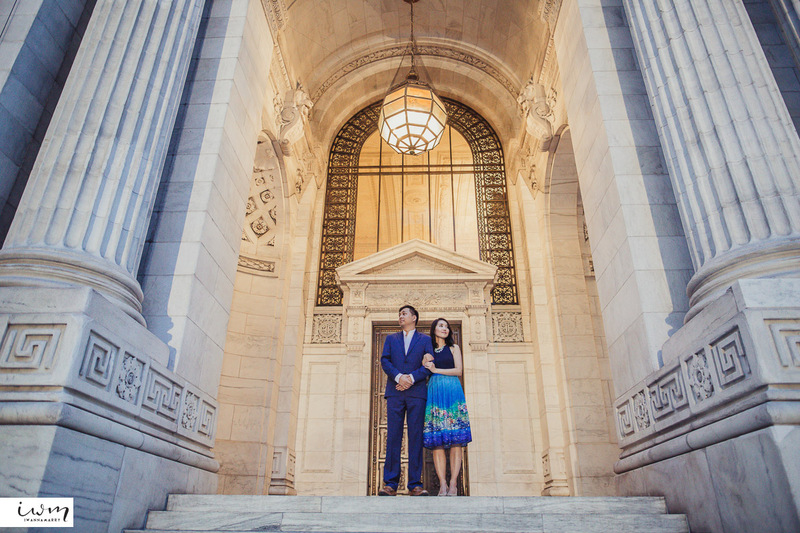 Walking around late in the day also helps thin out the crowd, and we finished the session at the New York Public Library with low light and city lights to help light up the couple. 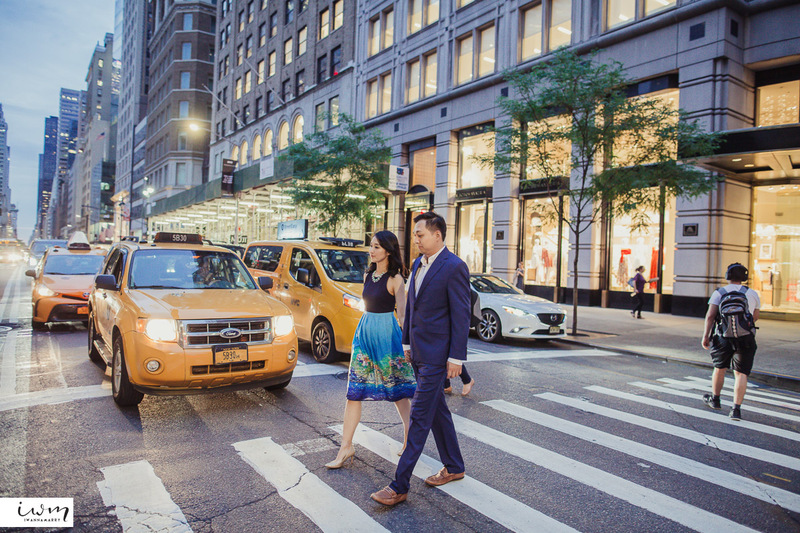 We find evening sessions in the city very romantic!